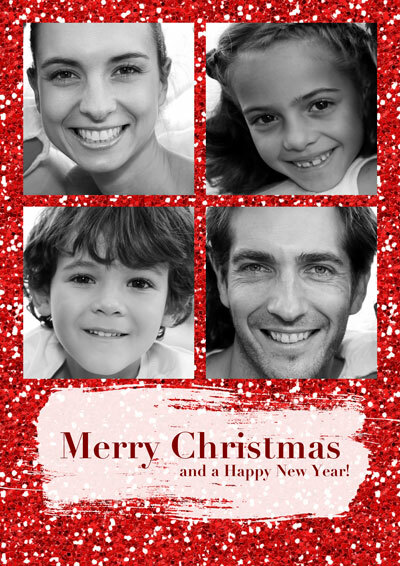 Make Your own Photo Christmas Cards Online | Free Printable Templates | Printed & Mailed For You | Photo Cards, Postcards & Photo Greeting Cards Online printed | Free International shipping. 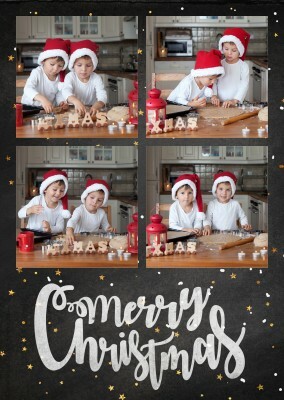 Such a cheerful Christmas greeting! There's something about a clear winter night that feels so magical, when you're surrounded by white snow and gazing at the bright stars up above. 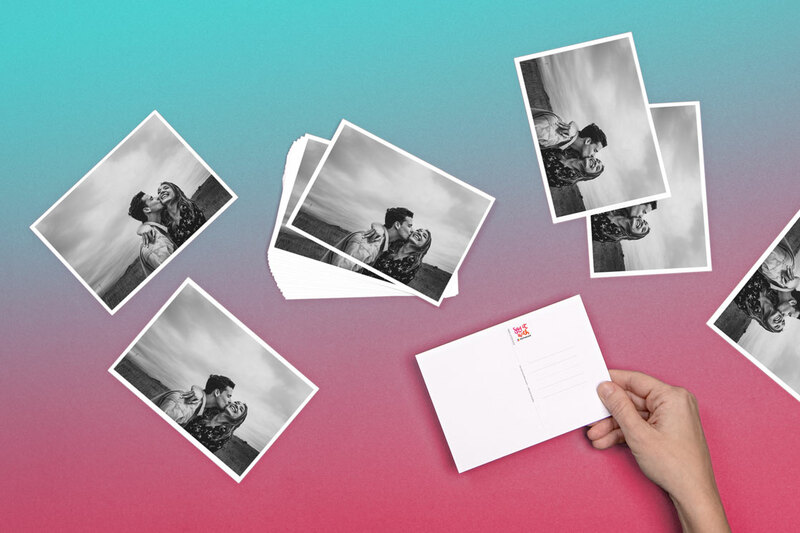 The stars and polka dots against this personalizable polka dots card's black background provide the perfect wintry backdrop for four of your own photos from the past year. 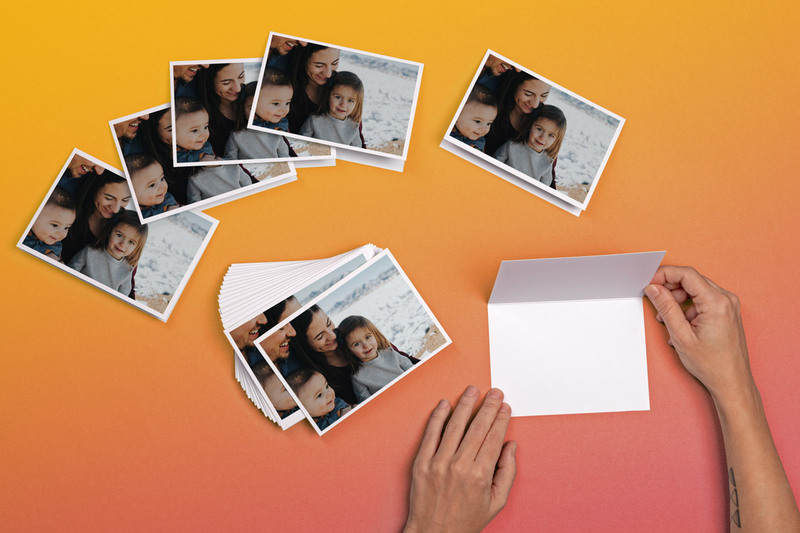 Perhaps you went on an exciting family vacation, had a major life event, or maybe you just want to show off some cute pictures of your adorable kids! 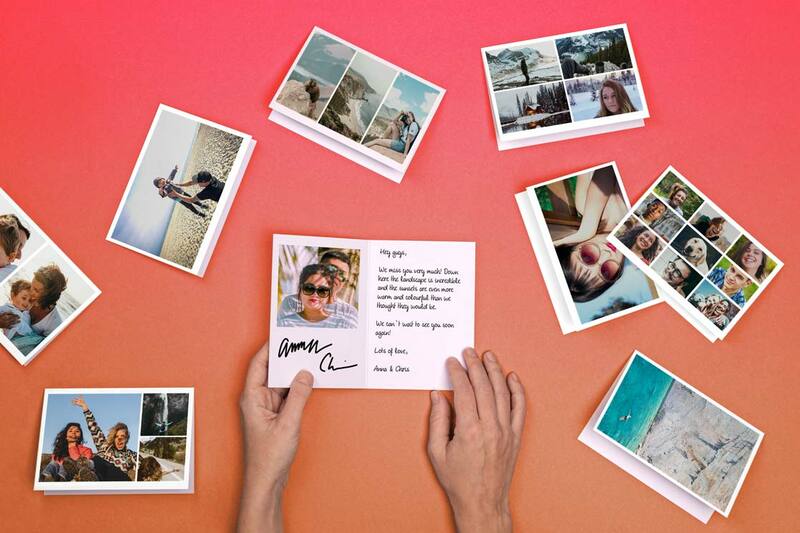 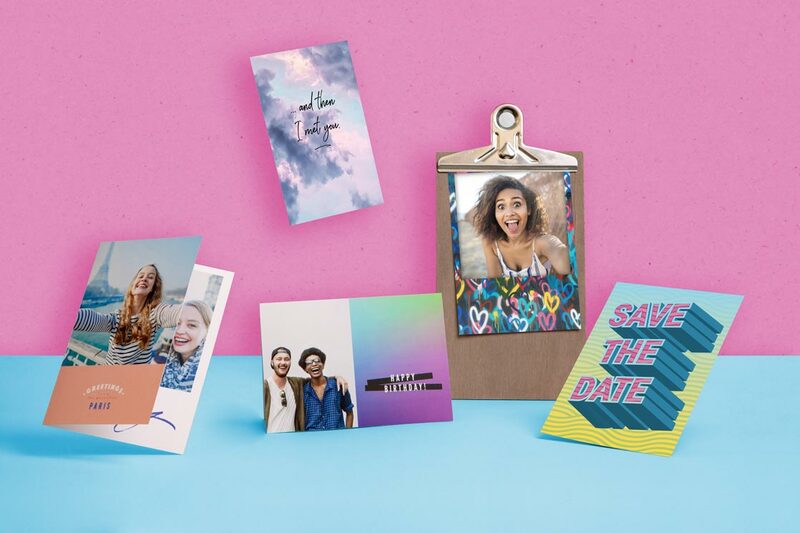 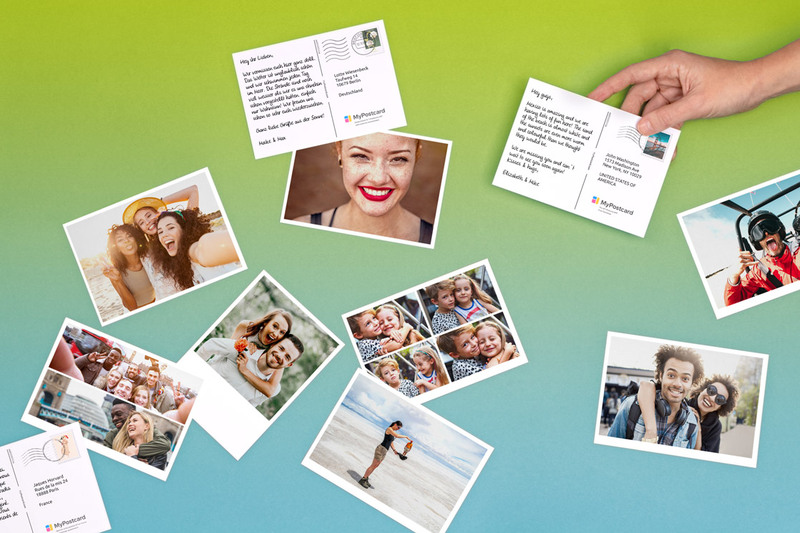 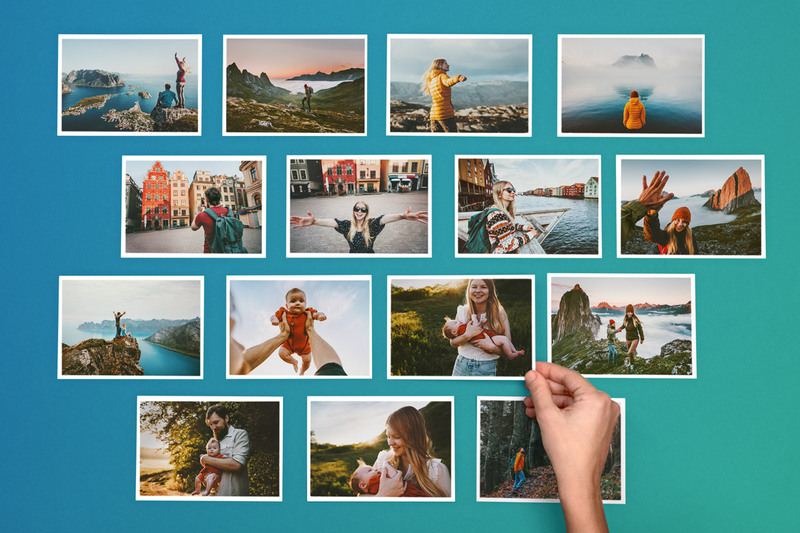 Don't worry about choosing a favorite or two--with four photo inserts, you can include a variety of photos showcasing your year. Inside the personalizable polka dots card, you can include a Christmas greeting from your family to theirs, as long or as brief as you'd like. 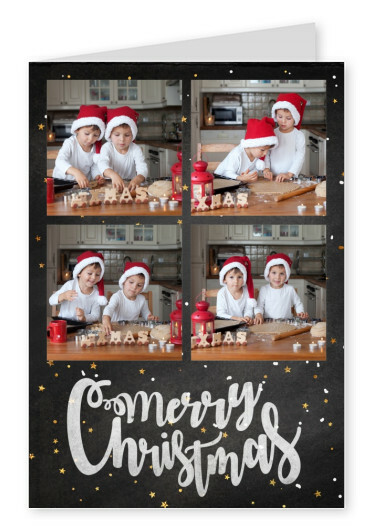 This personalizable polka dots card will be a delight to everyone who receives it, and will surely bring the holiday cheer to your friends and family!